2 What do you want to do? Las Vegas is a very popular tourist destination and countless flights land at the McCarran international airport each day. Other tourists make the trip by car or by bus. In total, more than 40 million people visit Las Vegas each year. With that many tourists visiting Las Vegas it should come as no surprise that Las Vegas offers a wide variety of different hotels that you can choose to live in. This large selection can however sometimes make it hard to know which hotel to chose. This website is designed to help you find a good hotel (or other accommodation) that suits your needs and that suits the goals you have during your trip. The first thing to think about when you are looking for a hotel is to make sure that you look at hotels in the right area of Las Vegas. 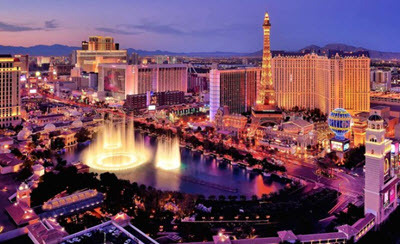 Las Vegas is a large city and choosing the wrong area to live in can force you to spend a lot of time and money traveling to and from different destinations. The most popular area to live in and the area that most tourists choose to live in is the Strip. The Strip is the area that most people are referring to when they say Las Vegas. It is the avenue where most of the large casinos and resorts are located. You can walk to most casinos and resorts if you live on the Strip. This is especially true if you live in the center of the strip. The strip also offers great food and a lot of shopping. Downtown is another popular area. This is the historical center of Las Vegas where a lot of the older casinos like the famous Golden Nugget is located. Downtown is very nice but everything is a little bit smaller then it is on the Strip. Another area that attracts tourists is the Boulder Strip. The Boulder Strip offers a number of casinos. Make sure that you know where you want to live before you start looking for a hotel. By knowing where you want to live you can narrow down the number of hotels you have to choose from. Why do you want to visit Las Vegas? What you want to do will decide where you should live. Choosing a hotel near the things you want to do can minimize travel time and free up time that you can use in a better way. Make a list of all the things you want to do while you are in Las Vegas. Once you have the list you should print a map and mark out where you can do each of the things you want to do. Once you are done you should look at the map and see where most of the activities are centered. Circle the cluster where most of the things are located. I recommend that you look for a hotel within this circle. Preferable in the center of the circle. Make sure that you choose to live close to the activity that you are going to spend the most time doing. If one activity will consume 90% of your time then you should look for a hotel close to that activity even if all your other activities are clustered close together in another area. Most people visit Las Vegas because they want to gamble in a casino. The best area to go to depends on what type of game you want to play. The biggest and most lavish casinos are located on the strip but that does not mean that the strip is the best place to gamble. You might have better odds of winning somewhere else. It all depends on what you want to play and if you want to maximize your pleasure or your chance to win money. The best experience and the best odds of winning are not always found in the same place. 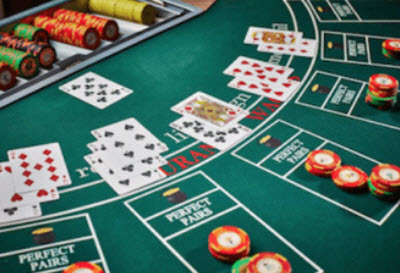 Other types of casino games can also have slightly different rules in different locations. The different rules give you different chances of winning. If you want to play poker then you likely want to go to the Strip or Downtown. Both areas have good poker rooms. Downtown is home to some classical poker rooms like the Golden Nugget. There are no casinos or brokers in Las Vegas that offers binary options. This is true despite regular reports that there are casinos that do. There are no offline casino or broker in the US that offer binary options. If you want to trade binary options then you need to register with a binary optioner broker such as Nadex binary options. Another common reason to visit Las Vegas is to see one of the many shows such as Pen and Teller or Celine Dion. Most of these shows are located on the Strip and the best option is usually to live in the hotel that hosts the show. Living in the hotel that hosts the show makes it very easy to get to and from the show. Las Vegas offers a lot of great shopping. Most tourists choose to shop on the Strip. Visiting the Hoover Dam is usually a day trip and should usually not affect your choice of accommodations. 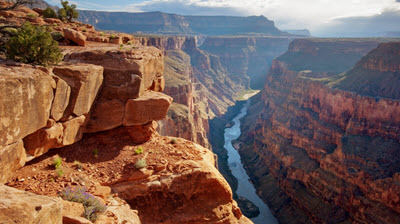 If you just want to visit the grand canyon for a day trip then that should not affect your choice of accommodations. If you want to hike the canyon then you should choose a hotel with that in mind. Las Vegas is home to a large number of different apartments and houses that you can rent if you do not want to live in a hotel. Renting have both benefits and drawbacks. You can read more about renting a vacation rental in Las Vegas here.